FBI director James Comey had a lousy week, and next week is not looking any better. A trial jury in Oregon told him that his G-Men were off-base thinking that armed seizure of a federal bird sanctuary constituted a crime when the panel acquitted the Bundy Gang of conspiracy, gun and other charges. Comey took refuge in Anthony Weiner’s underwear, but they’re not fitting as planned. 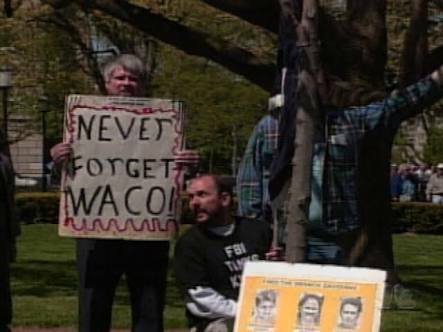 The Bundy Gang didn’t walk away. There are other charges against them still pending. The acquittal was not a blanket exoneration. Still, it will force the Bureau to reconsider its policy in dealing with armed anti-government resistance. 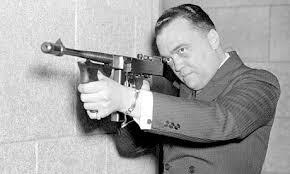 J. Edgar Hoover must be spinning in his grave. 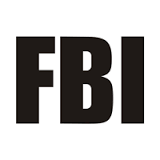 The shooting at Ruby Ridge, Idaho in 1992 and the siege and shootout in Waco, Texas in 1993 had previously put the FBI under scrutiny in its encounters with the Militia Movement, of which the Bundys are a part. The verdict handcuffs the Bureau in protecting federal land from armed opposition. The next step, unfortunately, would be to call up the National Guard. 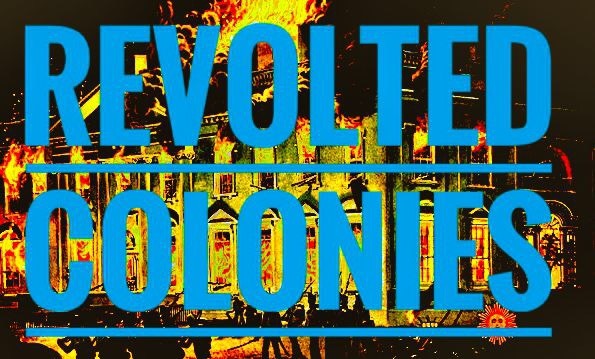 which may be precisely what the Bundys want. The day after the Bundy acquittal and without any apparent connection to it, Comey sent Congress a letter stating that the FBI was reading newly discovered Hillary Clinton emails from a cache recovered a month ago from a laptop it seized from Weiner. The laptop was shared by the former Congressman and his soon-to-be ex-wife, Huma Abedin, a top aide to the President-in-Waiting. Weiner is under investigation for conducting an online sexual relationship with a minor. Even though the FBI has had Weiner’s laptop for a month and presumably has known about the emails for as long, allegedly it hasn’t gotten around to reading them. So, the FBI hasn’t determined if these emails are new discoveries or copies of emails previously recovered. Nevertheless, Comey thought it necessary to inform Congress of the find. In July, Comey announced that the FBI had found no basis to recommend criminal charges against former Secretary of State Clinton, arising out of her use of a private email server. He then scolded her publicly for mishandling classified material. Comey came under fire for this ex-officio comment. Now, Comey is on the hot seat again. He went against Attorney General Loretta Lynch’s direction not to issue the inflammatory letter adding nothing of substance to the case against Clinton, eleven days before Election Day. 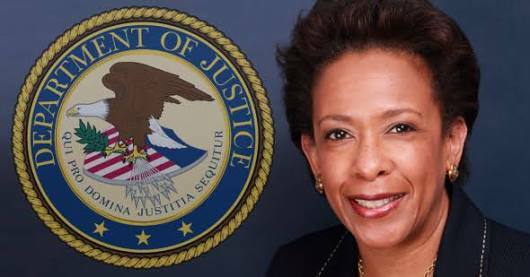 The FBI reports to Lynch’s Justice Department. Yet, Comey said that he felt obligated to inform Congress of this newish discovery. Comey’s action may well be grounds for dismissal. Given Lynch’s own political problem over her June airport meeting with Bill Clinton, creating an appearance of impropriety in connection with the email server issue, she was in no position to block Comey and is in no position to fire him. Nevertheless, Comey’s feeling of obligation is badly misguided. The emails have not been examined. Right now, they are not evidence—they are data. 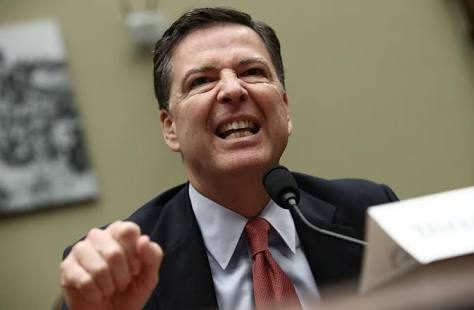 It is against law enforcement policy to discuss on open investigation of any kind.If Clinton was not running for President in an upcoming election, you can bet that Comey would not even have thought about it. The FBI would continue its investigation and report its findings to DOJ, which then would make a decision as to prosecution. Even if he had an obligation to update Congress, his action was premature and knowingly prejudicial. It would be understandable if the FBI had determined that the emails were newly discovered material, containing a “Classified” marking and being sent to or from Clinton’s private server. Then the Bureau could report something meaningful had been found and that further classification review by other agencies would be required. Until then, it should have remained an internal matter for the Bureau; especially because classified material might involve matters of national security. Comey has painted himself into a corner. If the emails are innocuous, he should not have raised it at all. If they involved classified material, he can’t disclose them but clearly has opened that door. He’s prejudiced the election as well as a potential prosecution. Clinton along with others accuses Comey of a political hatchet job. Try as one might, the political aspect is impossible to dismiss.